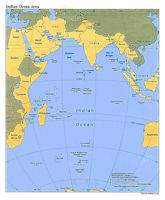 The Indian Ocean encompasses an area of about 73.4 million square kilometers, or roughly 14 percent of the earth's surface. The region has been defined variously, depending on whether the Antarctic Sea is included. 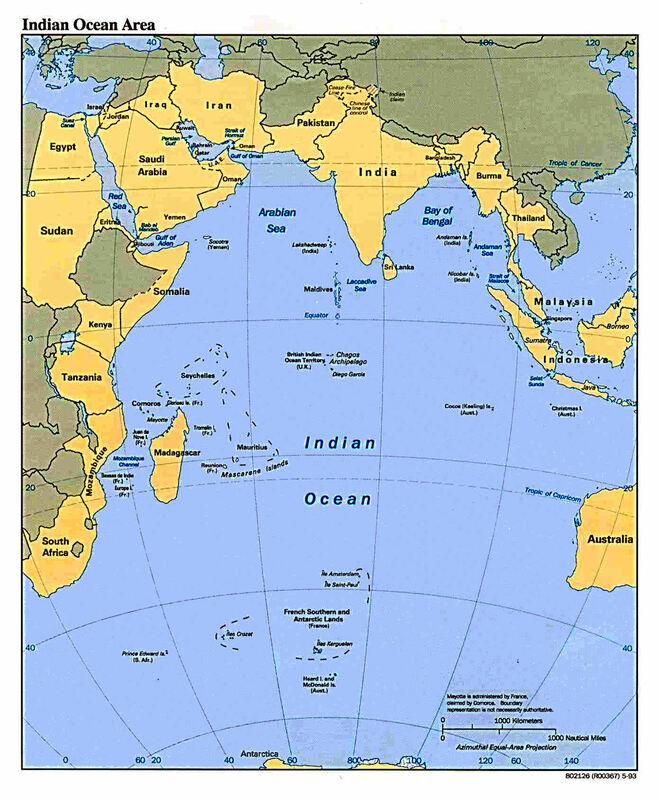 Commonly, the Indian Ocean is thought to stretch from East Africa (or specifically from the southern tip of Africa at Cape Agulhas where it meets the Atlantic) to Tasmania (where it meets the Pacific), and from Asia to Antarctica. The Indian Ocean has been an important corridor for human migrations, and it has been travelled since the classical era (Hourani, 1995). Northern coastal trading route networks emerged around 2000 BP (years Before Present), when civilizations in East Africa; West, South, and East Asia; and the Mediterranean coasts expanded and developed their trading routes. This Indian Ocean trade network was further developed during the Arab conquest starting around 1200 BP, during contact with China around the same time, and expanded into a global trade network with the arrival of Europeans after 500 BP. The interaction of such a variety of people during this time has provided opportunities for cultural and genetic admixture. Historically, the region has played a prominent commercial role in East-West trade since early times. For the colonial powers, particularly Britain and France, in the seventeenth, eighteenth, and nineteenth centuries until the construction of the Suez Canal in 1869, the islands of the Indian Ocean provided trading posts and refueling locations en route to their colonies in the East. More recently, the Indian Ocean was a focal point of East-West tension because it served as a route through which much oil from the Persian Gulf states passed in shipment to markets elsewhere. Despite their unique aspects, these island nations have certain features in common. For example, all have been colonies or protectorates of either Britain or France. All have gained their independence since 1965 (1960 in the case of Madagascar) and were inclined (with the possible exception of Comoros) to institute rule based on the dominance of executive leadership, specifically based on the personality of one man. This was true even though in several instances such rule was under the guise of socialism. Those islands that adopted socialism later began moving toward greater privatization and a free-market system. As of the early 1990s, however, the countries were seeking to diversify their economies, stressing fisheries development, tourism, the establishment of export processing zones (EPZs) where raw materials are processed and textiles manufactured, and industrial development, or the creation of international commercial centers. Of these island states, only Madagascar has significant mineral and energy resources, although offshore exploration is taking place near several of the islands. The islands off the coast of East Africa in the Indian Ocean consist of nations which are a unique blend of African, Arab, and Asian peoples and history. Some have been shaped by more than a thousand years of history while others were uninhabited until the era of European colonialism and expansionism. During this period, many of these islands were very important trading posts and refueling stops. However, after the Suez Canal was completed in 1869, eliminating the necessity of going around the Cape of Good Hope to get to the Far East. most of these islands reverted to being on the periphery of world affairs. The Indian Ocean is smaller than the Atlantic and considerably smaller than the Pacific, but it still encompasses 14% of the world's surface and has a total area of close to 73.4 million sq. km. Though its exact boundaries are arguable, it stretches from East Africa to Tasmania and from Southern Asia to Antarctica. Its greatest depth is 7,730 meters off the island of Java. Millions of years ago in the Mesozoic age, according to tke theory of continental drift, there was a vast landmass in the southern hemisphere which has been named Gondwanaland. Africa, South America, India, and Australia were all part of this continent. When Gondwanaland broke apart. Madagascar, which has strong geological links with East Africa, and part of the Seychelles became separated from the larger landmasses. Much of eastern and central Madagascar is formed from a granitic shield, which is thought to be over three billion years old. The northern islands of the Seychelles are also granitic. Many of the other islands in the Indian Ocean were formed differently. Mauritius, Rodrigues, and Reunion, which make up the Mascarene Islands, were formed by undersea volcanic eruptions. The Maldives and the Chagos Archipelago originated from the accumulation of coral in shallow tropical water. 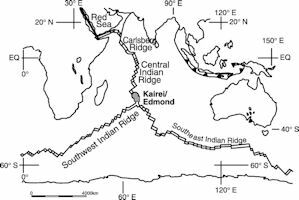 There is a chain of submerged ranges, called the Mid-Indian Ocean Ridge, which marks the juncture of three of the continental plates. 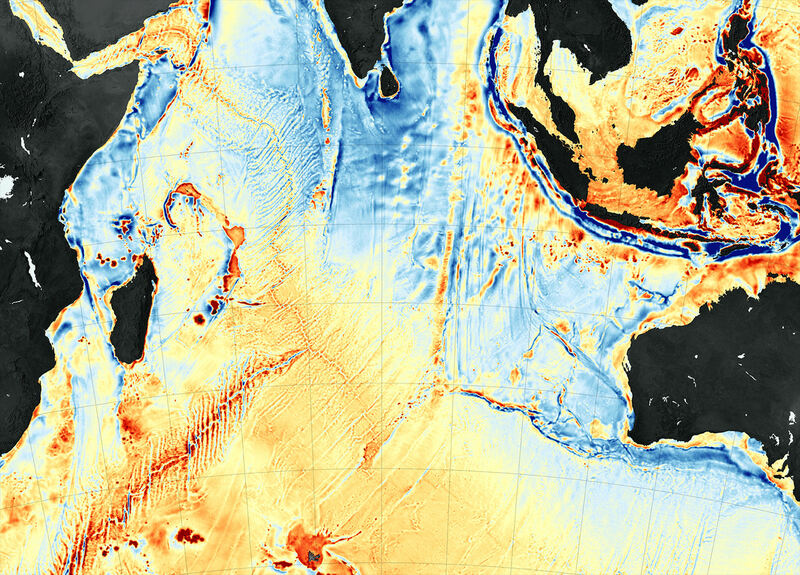 At this point, the ocean floor is spreading around 10 cm per year. Molten rock frequently emerges along fissure lines and weak, shallow earthquakes are common along the Ridge. 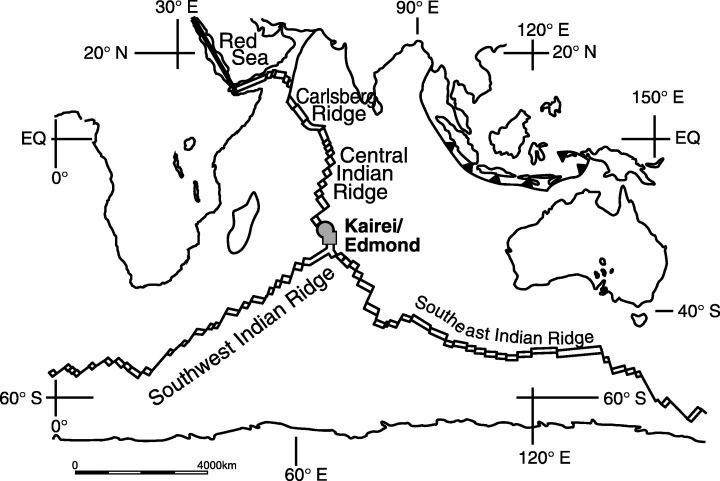 The most active area is along the Java Ridge where the Indian plate slides underneath the Eurasian plate.